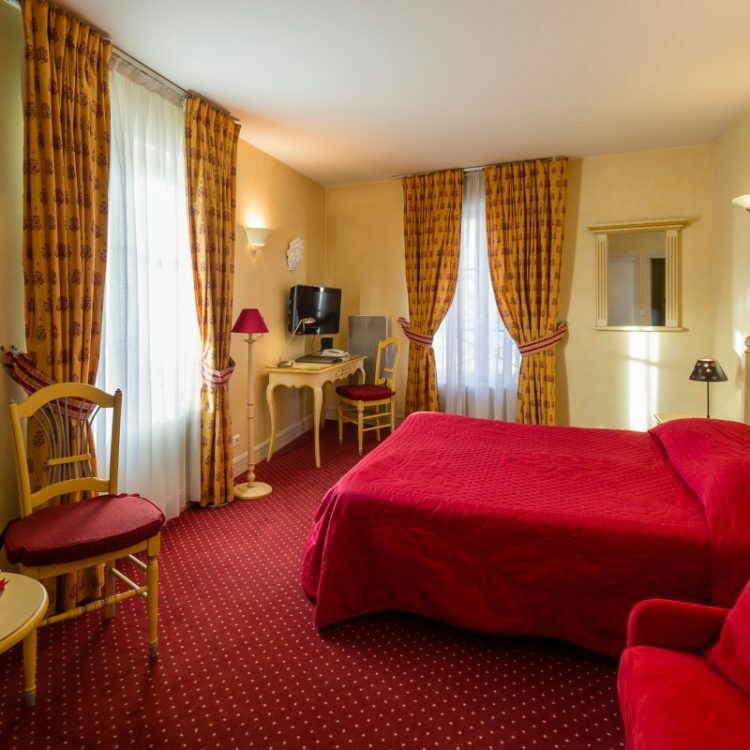 L’Hôtel reflète toute l’atmosphère Varoise notamment par le charme de ses 32 chambres. 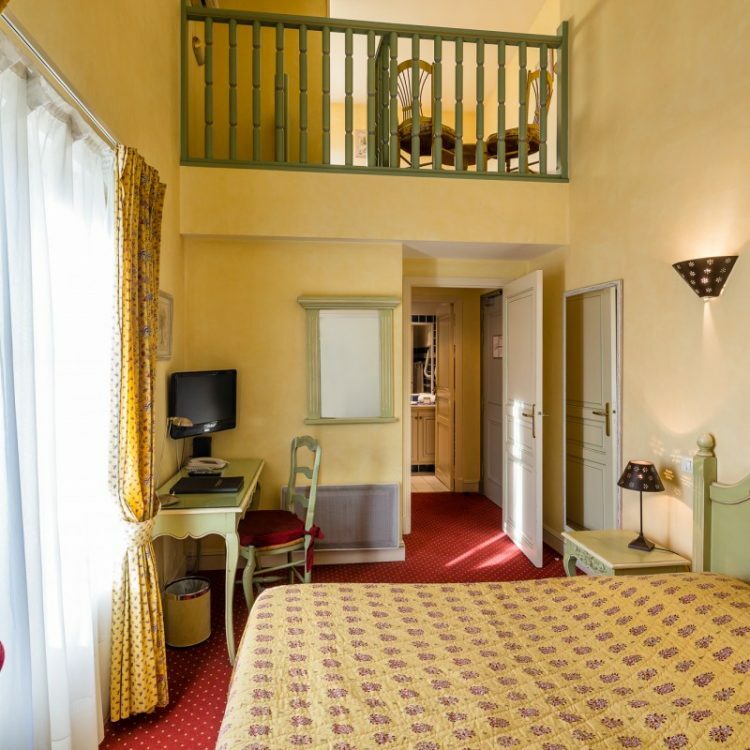 The rooms and Junior Suites are very inviting and decorated in warm colours, such as yellow or cherry red: a Provençal look and authenticity are guaranteed! 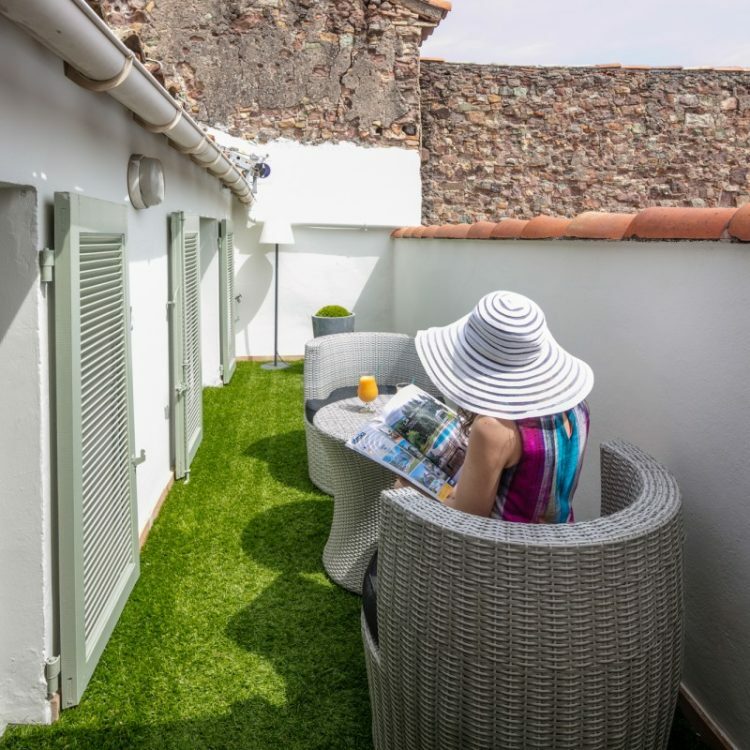 Some rooms also benefit from a terrace. 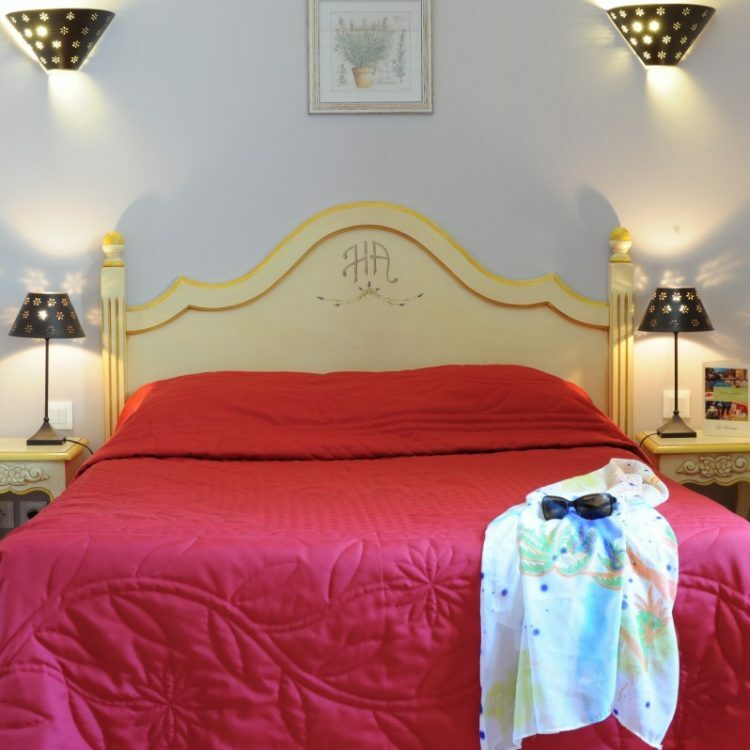 In this beautiful hotel in Fréjus, you will appreciate both the typical ambience and the pleasure of sharing the Provençal lifestyle. Please note that due to the layout of the establishment, which is spread over three buildings, some rooms are not accessible by lift, such as the rooms of the Jasmin & Romarin building in particular. Please do not hesitate to contact us via the chat window to make your choice easier and get the most out of your stay.